This is one of three reviewers that awarded 5 stars from Readers’ Favorite. Read the reviews by Bil Howard and Kathryn Bennett. This book received a 5 Star Review rating from Readers’ Favorite. In the novel Baby Rocket, author Stephanie Smith takes an unusual and rewarding approach to telling the story. While taking care of matters following the death of her father, James Dance, Clementine ‘Lem’ Dance discovers a secret from her early childhood concerning herself and the death of her mother. This secret shatters many of her assumptions and long held beliefs. Lem embarks on two journeys as she attempts to find the truth. One journey is physical, taking her from California to Florida and New York and eventually New England. Along this journey, Lem renews acquaintance with family members and friends, and meets up with strangers. Some of these people are helpful while others are manipulative and only blur the search. The second journey is through Lem’s memory as she desperately tries to unravel her recollections of the events surrounding her mother’s death when Lem was just four years old. The reader feels the pain of this struggle. Carefully woven into this story of a woman’s search for a childhood truth are two side issues from Lem’s father’s background. Because James Dance had a fixation on Marilyn Monroe, the reader learns a great deal about the actress, including a connection with James that the reader may not see coming! The second issue comes from the fact that James was a NASA worker and was very close to the early astronaut experiences at Cape Canaveral. Along with facts concerning those NASA events, the reader is introduced to the little known story of the so called “Mercury 13.” These were thirteen women who had been selected and trained to become astronauts until the administration ruled that women were unable to cope with the physical demands of launch and space travel. That ruling ensured that the American space program would exclusively be a male establishment up until the shuttle era. These historical issues are nicely and seamlessly written into the story of Lem Dance’s search. 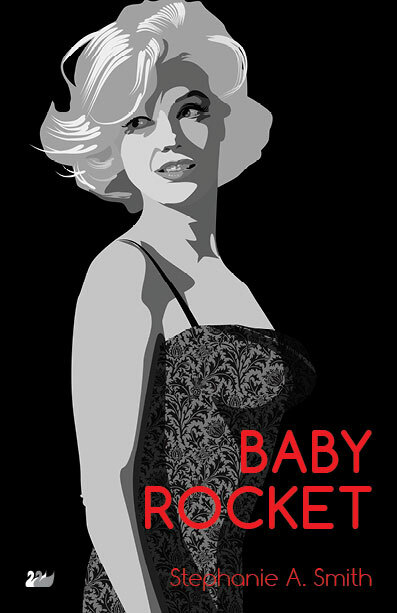 Baby Rocket is an intriguing story, skillfully and sensitively constructed by Stephanie Smith. It is recommended reading.